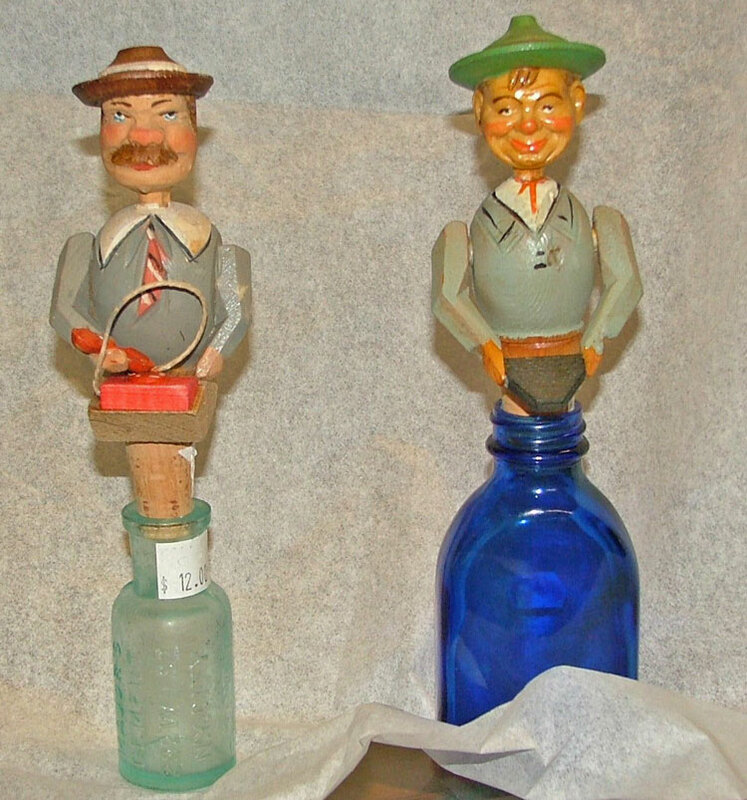 It all began in the late 19th century when Alois Riffeser traveled to the major European cities to sell the wood carved figurines and toys which were bought from the farmers of the Gröden Valley located in the Dolomite region of the Alps. This area in South Tyrol was part of Austria-Hungary at the time until being annexed to Italy in 1919. The above photo shows only two of the Anri stoppers that we received this week. 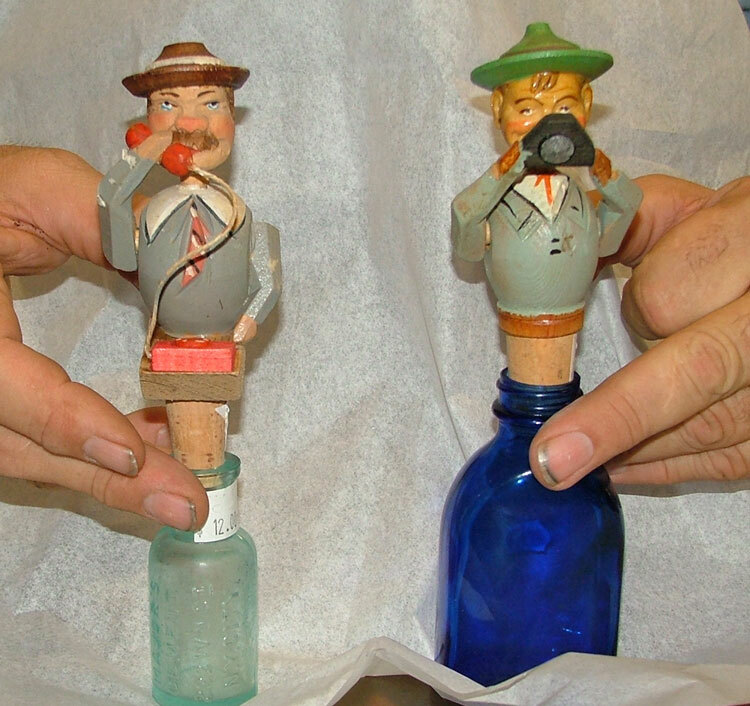 They are delightful, hand-carved, wooden, mechanical bottle stoppers. A perfect conversation piece to show off at your next gathering. The stopper on the left answers a phone when you push the lever in the back down. The one on the right lifts a camera to take a picture. Famous artists and modellers from around the world have created unique designs that the skilled workers at ANRI transform into beautifully detailed wood carved figures. Stop in Bahoukas Antique Mall and Beer MuZeum soon and see other designs still available.